This is a gorgeous room with a large Queen Ensemble bed and lovely linen, large luxury en suite, remote control air conditioning, TV and DVD player, FREE Fast Wi-Fi, 110 litre fridge/freezer, tea and coffee making facilities, electric blanket, ceiling fan, column heating, tissues and more. 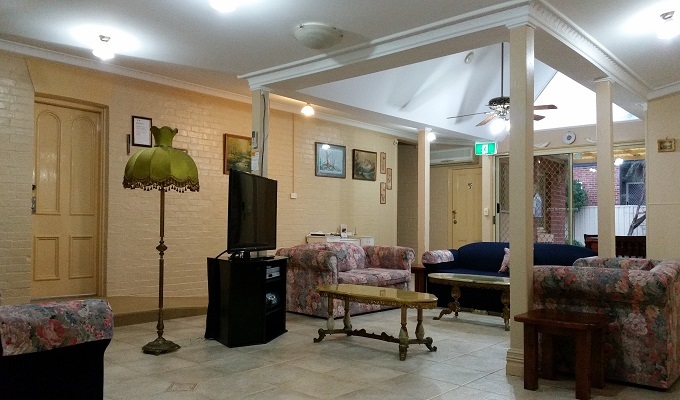 You have gated off street parking and full access to the large lounge room which has a 48 inch/121cm TV and DVD player, CD, books, artwork and much more. You are welcome to relax and unwind in the large lounge room or walk around the beautiful gardens. Boutique Motel Sefton House is the most luxurious Tumut motel. The all weather verandas are a classic feature at Boutique Motel Sefton House, and ideal to sit and have a drink or read a book. We offer a variety of nine various rooms and suites to choose from. You can book the entire Boutique Motel Sefton House just for your social or corporate group getaway. There is also a large kitchen/dining room available for group hire. 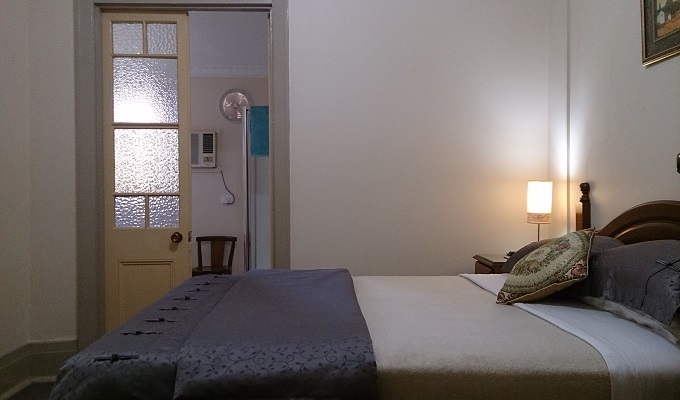 We can customise Boutique Motel Sefton House to suit whatever type of Tumut motel style accommodation you require. Your Tumut motel accommodation needs are all taken care of. 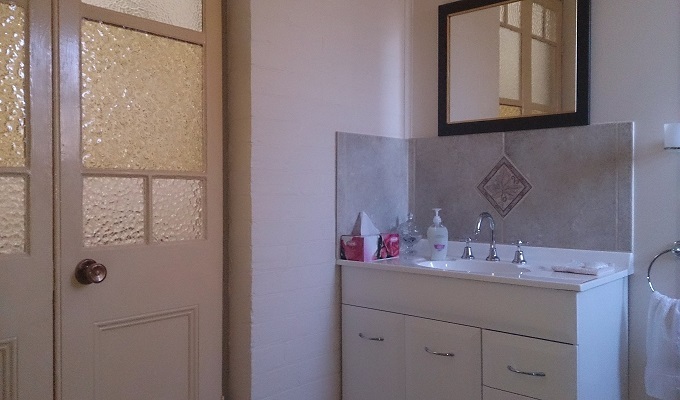 Why stay at an ordinary Tumut motel, when you can stay in total comfort. Try Something Different, You’ll Love It!. Continental Breakfast Available $20.00 P/Person. GIFT CERTIFICATES AVAILABLE – What a lovely idea. No children in this room. But Queen Victoria Suite, Queen Room 2 and 3, can accommodate 1 child under 2 years in a portacot. Family and Twin rooms, 2 children of all ages. 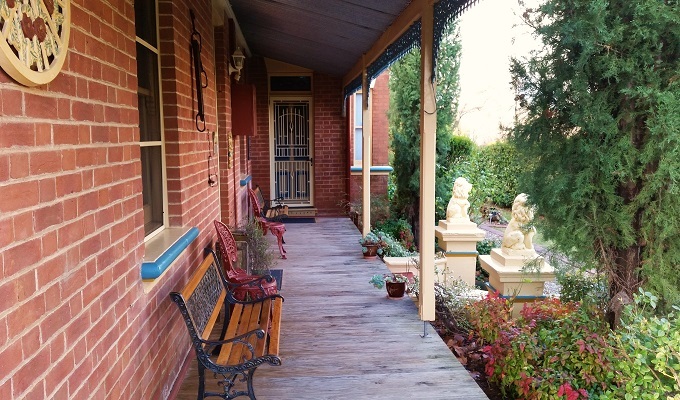 “Beautiful Tumut accommodation. A beautiful Deluxe Queen room. Spotlessly clean with large luxury ensuite”. © 2016 Boutique Motel Sefton House Tumut. Website by Snug Site.